This vintage book contains a detailed exposition and catalogue of the fluorescent and phosphorescent gems and minerals, and includes detailed information on the uses of ultraviolet light in the earth sciences. This fascinating and comprehensive handbook is highly recommended for those with an interest in fluorescent minerals, and it would make for a worthy addition to collections of allied literature. 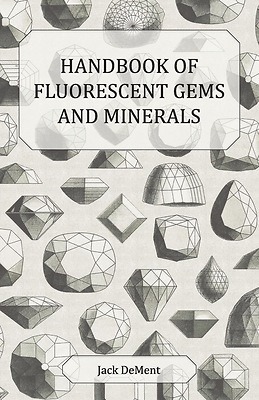 The chapters of this volume include: "Introduction to Gemmology," "Radiation Sources and Technique," "The Florescent Minerals," "Appendix One," "Appendix Two," and "Abridged Bibliography." Many antiquarian books such as this are increasingly hard to come by and expensive, and it is with this in mind that we are republishing this book now in an affordable, modern, high quality edition. It comes complete with a specially commissioned new introduction on gemmology.